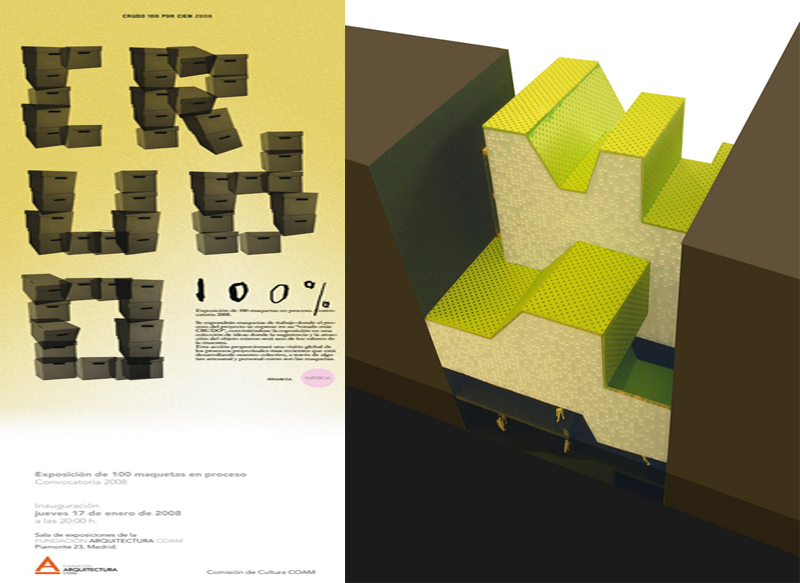 SOMOS ARQUITECTOS PUBLICATIONS: CRUDO 100% EXHIBITION. COAM MADRID. CRUDO 100% EXHIBITION. COAM MADRID. SOMOS.arquitectos has been selected to participate in CRUDO 100% EXHIBITION, 2008.01.17. showing the shortlisted project "Colegio Oficial de Arquitectos Extension, Albacete" . The exhibition includes the work of 100 architecture offices from Madrid, each of which shows a model of a work made in the office.